Gulf states are lining up as targets for criticism by international trade unions and human rights groups for their treatment of foreign workers. Qatar, long in the firing line following its winning three years ago of the right to host a World Cup, was joined this week by Abu Dhabi as a result of projects to build world-class museums, luxury hotels and a campus for New York University. Dubai is likely next in line after its winning bid earlier this month to host the 2020 World Expo that is expected to generate $7 billion in construction projects. A comparison of the fallout of media coverage and campaigning by trade unions and human rights groups of Qatar and Abu Dhabi highlights the power of the World Cup and soccer and puts the onus of responsibility for ensuring that hosts meet international standards of human rights as well as their own lofty ideals on international sports associations like world soccer body FIFA. 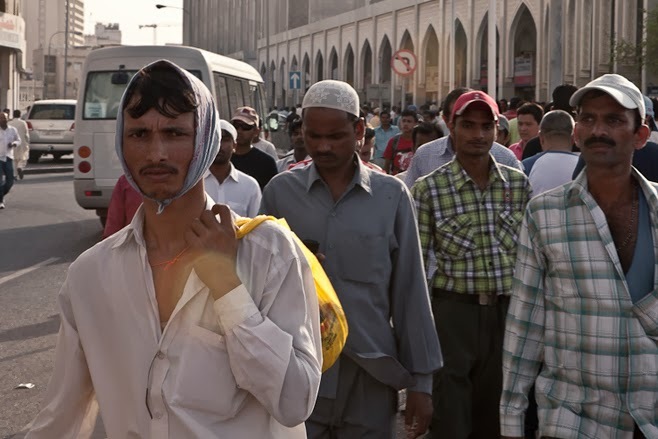 As a matter of principle, there is little news in the abominable conditions of foreign workers in the Gulf where they often constitute a majority of the population. This writer wrote his first report on the plight of foreign workers in the region in 1976. Vast realms have been written since. The Independent focused several years ago on the UAE. Yet, it took Qatar’s winning of the World Cup to put the issue on the agenda with any number of groups and government organizations since seeking to get on the bandwagon. Britain’s The Guardian ensured that it moved even further up the agenda with a series of reports starting in September on workers in Qatar involved in World Cup-related projects. In contrast to those reports, revelations in Sunday’s edition of The Guardian’s sister publication, The Observer, about workers’ conditions on Abu Dhabi’s Saadiyat (Happiness) Island have had a more muted fallout than those about Qatar. While Gulf states compete for topping the list of where workers’ conditions are worst, Abu Dhabi and the UAE compare unfavorably to Qatar not only when it comes to academic freedoms. Besides cracking down on research institutions and activists and barring critical researchers from entering the country, the UAE also has the dubious distinction of being the world’s only government to hire an army of at least 800 Africans and Latin Americans parked outside the capital for the eventuality of major labor unrest or a popular revolt – an indication of how far it is willing to go to keep the ruling family in power. In a bid to avoid joining Qatar and Abu Dhabi in the firing line, Bahrain, already on the defensive for its brutal suppression of a 2011 popular uprising and its ongoing crackdown on majority Shiite Muslim activists that has led to the continued incarceration of scores of athletes, many of them soccer players, recently announced that it would adopt Gulf labor standards. These include banning the confiscation of workers’ passports and ensuring timely payment of wages. While Qatar has acknowledged the need for change and problems with implementation and enforcement of existing workers’ rights, Abu Dhabi has sought to project itself as a workers’ paradise. “The UAE has built the world's greatest labor camp, complete with manicured cricket grounds, a chess center, a multilingual library with works by Ayn Rand and Barack Obama, the UAE's first multi-denominational prayer hall, film screening rooms, tug-of-war competitions, a coffee shop and landscaped grounds. Regular government press releases show groups of smiling dignitaries who have come to admire the Saadiyat Construction Village, while promotional videos show smiling workers playing cricket in spotless whites,” The Guardian reported, noting that a majority of workers on Saadiyat lived in what can only be described as appalling conditions. The message is clear: Gulf states have long gotten away with sub-standard living and working conditions as a result of the international community, including sports associations, at best paying lip service to globally accepted standards and their own professed values and Gulf states promising change and reforming their labor laws and regulations but failing to put their money where their mouth is. To Qatar’s credit, the Gulf state unlike the UAE has engaged with trade unions and human rights groups. That engagement has given it some degree of the benefit of the doubt. The proof however will be in the pudding. Because of the World Cup, Qatar has taken the heat of the focus on workers’ conditions in the Gulf. That hardly makes the circumstances of foreign workers in the UAE less onerous or lessens the onus on international sports associations to hold up universal values. For the Gulf states, the litmus test will be implementation and enforcement rather than adoption of lofty principles and showcases to keep critics happy. Human rights group again this week blasted future World Cup host Qatar for its treatment of migrant workers. Yet, amid the criticism was an implicit recognition that the Gulf state rather than stonewalling its critics has in recent years engaged with the likes of Amnesty International and Human Rights Watch. It now has to demonstrate that it is serious about enforcing change. Amnesty Secretary General Salil Shetty said Qatar could "signal that the government really means what it says about protecting workers' rights" by intervening with Lee Trading and Contracting (LTC), a company that the human rights group said had failed to pay its 80 mostly Asian workers for the past year. As a result, the group said the workers were running low on food and living in legal limbo because LTC as their sponsor had failed to acquire residence permits for them without which they cannot seek alternative employment. "I spent six months in Qatar but did not receive a single rupee. I was reluctant to come back home as I didn't earn any money ... When I got home my wife was weeping and even I did not feel good. I still feel very guilty. I have not done anything since I got back. I just sit at home looking after my children … When I was abroad, my wife took out more loans as my children were ill, so our debt grew to this huge amount. The only way I can pay it off is by going back abroad … If people asked for my advice, I would say Qatar is not a good place, so don't go to Qatar. I had a very hard time there,” said Ravi Kumar, a Nepalese worker who worked in Qatar for a different company than LTC, in an interview with The Guardian. Mr. Kumar said he would at times go for 24 hours without food – "12 hours' work and then no food all night. When I complained, my manager assaulted me, kicked me out of the labor camp I lived in and refused to pay me anything. I had to beg for food from other workers." Mr. Kumar’s experience notwithstanding, Mr. Shetty’s remarks reflected the fact that Qatar has worked with human rights groups since winning in late 2010 its bid to host the 2010 World Cup and has taken a number of steps to improve the living and working conditions of migrant workers who constitute a majority of the Gulf state’s population. In contrast to countries like the United Arab Emirates that recently won a bid to host the 2020 World Expo, Qatar has allowed human rights groups to conduct research and announce their mostly damning findings at news conferences in the Gulf state, an occurrence that would have been unthinkable prior to its winning of its World Cup bid. By comparison, the UAE has in the same time period forced critical research centers to close down and is barring an increasing number of foreign scholars, including Qatari nationals, from entering the country. Human Rights Watch this week, in another indication of a perception of Qatari willingness to engage and acknowledgement of the need to maintain pressure, called on Gulf states to do more to guarantee workers' rights and urged the South Asian Association for Regional Cooperation to use its member states' collective bargaining power to ensure better protection for their citizens in the Gulf. Beyond the issuance of charters of workers’ rights by the Qatar 2022 Supreme Committee and the Qatar Foundation that if implemented would radically alter the cycle of workers’ migration, Qatari officials have promised to improve lax implementation and enforcement of labor laws and regulations that would prevent cases like LTC. Qatar, by the same token however, earlier this year detained and deported a German television crew that was undercover filming workers in the Gulf state. In an interview with The Guardian earlier this month, an unidentified Nepalese worker acknowledged change. “"That is partly because of the winter, which makes it much easier. But it's also because the bosses are worried. They feel the eyes of the Qataris for the first time. Our bosses are not from here. They are Indians, or Arabs from Jordan, and Lebanon. They are the middle-men. They have been out of control, but now they are scared,” the worker said. Speaking during a sports conference in Doha earlier this month, 2022 committee secretary general Hassan al-Thawadi noted that "we have awarded our first contracts for early work on the al-Wakrah Stadium and I am very proud to say that it contains in it provisions for our workers welfare standards and addresses issues from accommodation to remuneration." Qatar’s strategy of engagement, amid a wave of condemnatory media reporting, is intended to ensure that its sports policy and diplomacy succeeds in projecting soft power. It also is designed to use the improvement of migrant workers’ living and working conditions as a tool to fend off sensitive political demands by international trade unions, including granting workers the right to freely form unions and engage in collective bargaining. Qatar’s soft power approach that builds on its sports, arts and investment policies has focused attention on the dark side of the Gulf state’s oil wealth-fuelled defense, security, development and modernization. To successfully project soft power, Qatar will have to take the lead with bold labor reforms. While Qatari officials embrace the principle of reform, Qatar has however so far stumbled in its efforts to avoid further reputational damage and turn the tide of negative reporting around. It’s a lesson other Gulf states like the UAE’s Dubai with its hosting of the World Expo can learn from. That may be easier said than done. Labor reforms go the core of a far more delicate and existential issue in Qatar and other smaller Gulf states: many of the smaller Gulf states like Qatar host migrant and expatriate communities that outnumber locals by a factor of up to 10:1. Many locals fear that any change, including a revision or abolition of the kafala or sponsorship system, would endanger the nature of as well as their grip on society and threaten their culture. The commentator who publishes under the name, Jassim bin Sosibo Al Thani, and whose analysis at times transcends conventional Qatari thinking and suggests a more Islamic than Arab nationalist approach, this week extolled Qatar’s massive foreign buying and investment spree, including its acquisition of French soccer team Paris Saint Germaine and the launch of sports television channel beIN Sport as well as what he saw as Qatar’s foreign policy achievements. “Qatar reaffirms that she is awaking from her sleep, Qatar is digging herself out of the Bermuda Triangle dug by Arab nationalism,” Mr. Al Thani wrote. Earlier, the writer defined Qatar as an Islamic rather than an Arab state and in a break with mainstream Qatari thinking suggested that anyone born in Qatar should be considered Qatari. Qatar has no naturalization law, but has granted citizenship to those with only one Qatari parent. Members of the extended ruling Al Thani family and others knowledgeable about Qatari affairs have questioned Mr. Al Thani’s identity. They note that he is not listed in a family tree, is unknown to other Al Thanis who have been unable to ascertain his identity, writes his name in a way that deviates from family norms and that his online presence on social media dates back only to September. Fuelling speculation, Ms. Khathon, the Chronicle’s associate editor, refused to entertain questions on whether Mr. Al Thani was a member of the ruling family. Qatar is taking a beating in the court of public opinion with almost daily headlines raising questions about the way the Gulf state does business. 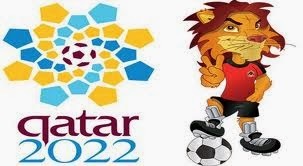 Yet, its hosting of the 2022 World Cup is emerging six months into the reign of Qatar’s new emir as an agent of change. Harsh working and living conditions for foreign workers who constitute the majority of the country’s estimated 2 million inhabitants have cemented Qatar’s image as a country that practices a modern form of slavery. Qatar’s failure to communicate its efforts to address the criticism in structural ways that go far beyond window dressing has done little to counter that negative image. That image is compounded by the tale of a French-Algerian soccer player who suffered serious damage to his career because he was denied an exit visa for 17 months as a result of a financial dispute with his sponsor, Al Jaish FC. For a mere €120,00 ($164,000) settlement with Zahir Belounis, Qatar could have avoided the far greater cost to its image that weeks of news coverage has cost it and that defending itself in a French court in which the player asserts that he was a victim of "fraud, inhuman working conditions, forgery and aggravated extortion of money" will cost it. Adding insult to injury, Britain’s Daily Telegraph last week disclosed that DLA Piper, the international law firm Qatar tasked with conducting an independent investigation into allegations of abuse of foreign workers involved in the construction of World Cup-related infrastructure made by Amnesty International, also acts a paid lobbyist for the state-owned Al Jazeera television network. The apparent conflict of interest raised doubts on how independent its investigation would be. Furthermore, the sentencing last week of the former chief executive and chairman of failed Icelandic bank Kaupthing to at least five years in prison on charges of fraud and market manipulation related to the acquisition of a 5 per cent stake in the bank by Sheikh Mohammed Bin Khalifa Bin Hamad Al Thani, a member of Qatar’s ruling family, did little to enhance the 21st century, cutting edge image the Gulf state is seeking to create through sports, arts and foreign investment as a pillar of its soft power strategy. Much like British bank Barclays that was fined £50 million ($84.5 million) by the UK banking regulator for failing to disclose £322m ($524 million) in fees paid to Qatari investors during two cash calls and Credit Suisse’s granting of a loan to Qatar as part of a SFr10 billion ($11.25) capital raise, the Kaupthing executives stand accused of having lent Sheikh Mohammed the funds he needed to buy his stake in the bank. The stream of bad news contrasts starkly with the steps Qatari institutions are taking to address labor issues both in an effort to counter criticism and fend off demands by international trade unions for the granting of political rights such as the right to form independent unions and to collective bargaining to foreign workers and, equally important, the World Cup’s breaking of taboos on discussions of such rights. In a country in which nationals account for only ten percent of the population and a mere six percent of the workforce and in which non-Qataris have no rights or prospects beyond fulfilling their employment contracts such debate goes to the core of the future nature of the Qatari state and society. In an almost unprecedented vision of a future Qatar, policy strategist, columnist and businessman Jassim bin Sosibo Al Thani, a member of the ruling family that accounts for an estimated 20 percent of all Qataris but is not one of the country’s decision makers, mapped out a society that would be non-racist, non-sexisit and Islamic rather than Arab and that would be inclusive in its definition of the country’s youth as both Qatari and non-Qatari – a move that if adopted would radically transform Qatar. Mr. Al Thani’s vision, published in Qatar Chronicles, came as Qatar’s new emir, Sheikh Tamim bin Hamad bin Khalifa Al Thani, appeared to be focusing his attention on domestic rather than foreign issues amid griping by Qataris over the country’s population explosion, unchecked Westernization; inflation, and gridlock in a city that is one big construction site. “Qatar belongs to all its youth; Arabs and non-Arabs, male and female. Every young person who was born here is a citizen of Qatar; a country on the West Asian continent. As a consequence, we are Asians regardless of race, color, gender or creed.. Our success depends on the country and continent’s ability to move in a steady direction, through which we are united with one common purpose as a people together in our diversity. Thus, we propose that young people embrace the diversity that is their birth right, bearing in mind that it is not and must never be a source of division.,” Mr. Al Thani asserted in a break with the notion that birth does not give anyone but Qataris rights and a national identity that has hitherto focused on the country being Arab. The businessman and strategist furthermore propagated a society that would be based on Islamic values, social justice and fundamental human rights rather than although he did not say so explicitly an autocratic state in which the emir effectively has absolute power. “This commitment is based on the understanding that our society cannot move forward if today’s conditions are still the same as those of yesterday. Consequently, we have to grapple with the enduring insight that Qatar will not succeed merely on the basis of ‘stability and continuity,’” Mr. Al Thani said. Noting that the UAE had taken a first step, by granting the offspring of mixed Emirati-non-Emirati nationals the right to citizenship, Mr. Al Qassemi pointed out that Saudi Arabia, the one country in which local nationals constitute a majority, if only a small one, was the only country in the region to have legalized procedures for naturalization. Mr. Al Qassemi went however a step further noting that the success of the United States was in no small part due to the contribution of immigrants. “Perhaps it is time to consider a path to citizenship for them that will open the door to entrepreneurs, scientists, academics and other hardworking individuals who have come to support and care for the country as though it was their own,” Mr. Al Qassemi said. Messrs. Al Thani, Zirie and Al Qassemi’s remarks reverberate in soccer. Like Qatar, United Arab Emirates soccer association Yusuf al Serkal said in an interview that his group was drawing up a roadmap and marketing campaign to move beyond catering only to nationals to attracting the vast majority of foreigners as fans of local clubs. The significance of the move lies in the fact that soccer rivals religion in the Middle East and North Africa in the degree of deep-seated passion and identity that it evokes. In a city like Cairo prior to the toppling in 2011 of President Hosni Mubarak one was asked whether one was Zamalek or Ahli, the city’s two storied soccer clubs, rather than where one was from. As a result of the often almost tribal emotions that the game sparks, Gulf clubs preferred to play in empty stadia rather than cater to the majority foreign population and risk their development of an emotional tie to their country of temporary residence. “We used to want to protect our society. We are now going into professional football and this constitutes good marketing,” Mr. Al Serkal said. by James M. Dorsey. It is also available online at this link. (To print it, click on this link.). has sparked criticism from other Gulf states. capabilities in the framework of the six-nation Gulf Cooperation Council (GCC). risks splitting the GCC which was established to enhance Gulf security. committed to its defence umbrella for the region despite focusing increasingly on Asia. community and emerging as a power house capable of rivalling the kingdom. the UN Security Council when it was elected to a seat. squashing of a 2011 popular uprising to bolster the regime. conflicts, Oman will not be part of it,” he said. not united with autocratic states. mounted armoured vehicles patrol the perimeter of the Shiite neighbourhood of Karbad. conference. Hagel said the first such conference should be held in the next six months. union. “This fits our agenda perfectly,” one official said. border in the north of Yemen. Saudi Arabia has become the latest Gulf country to discover that investment in European soccer to achieve national and corporate branding risks reputational damage when potentially discriminatory government and company policies are exposed. With Qatar taking a public relations beating for the working and living conditions of foreign labor involved in construction of infrastructure related to its hosting of the 2022 World Cup, second tier German soccer club FSV Frankfurt terminated a sponsorship agreement with state-owned Saudi Arabian Airlines Saudia. Club spokeswoman Ann-Katrin Hautk said the agreement had been terminated because the airline refuses to transport passengers who carry Israeli passports. US critics have called for the barring of Saudia from US airports. It was not immediately clear how much the sponsorship deal that involved placing a Saudi airlines model aircraft in Frankfurt’s Volksbank Stadium was worth. FSV cancelled the agreement after German media accused the airline of anti-Semitism and Frankfurt municipal officials and prominent German Jews denounced it. “FSV is selling principles for cheap sponsorship money… Saudi-Arabia is a dictatorship, Israel is a democracy in the Western sense,” Frankfurt daily Frankfurter Allgemeine Zeitung quoted Michel Friedman, former deputy chairman of the Central Committee of Jews in Germany, as saying. Local bank and major FSV sponsor Frankfurter Volksbank and FSV after which the club’s stadium is named said it was “irritated” by the agreement with an airline that has discriminatory policies. The bank said it finds any discriminatory policy unacceptable. Local politicians warned that money was not a license to engage without consideration with any potential sponsor. The Saudi airline is likely to find support for its policy in much of the Muslim world but suffer reputational damage in other parts of the world. Saudia risked widespread opposition to its deal even without its refusal to transport Israeli passport holders given its reluctance to endorse women’s rights to engage in sports and its human rights record. Ironically, FSV exposed the policy at a time that the kingdom has been more open than ever about the fact that it shares certain interests with Israel. Saudi Arabia and Israel have spoken with one voice about their opposition to last month’s first step by the United States and its fellow United Nations Security Council members towards resolving the Iranian nuclear crisis. Unofficial spokesmen for the kingdom have gone as far as suggesting that Saudi Arabia would not refuse entry to the Israeli Air Force into its air space should Israel decide to attack Iranian nuclear facilities. The sponsorship agreement is the latest instance agreement in which Gulf states turning to sports to enhance their soft power in a bid to compensate for a lack of or insufficient hard power to independently defend themselves have discovered that they run reputational risks that could undermine the very purpose of the exercise. Qatar, despite taking some significant steps to counter criticism of the working and living conditions of foreign workers, who constitute a majority of the population, and engaging constructively with major human rights and labor groups, has suffered significant damage to its reputation. Few would want to come to the defense of a country that rightfully or wrongfully stands accused of practicing modern slavery. Bahrain in the last two years twice saw its efforts to employ its sponsorship of a Formula 1 race to portray the country as having put its brutally crushed 2011 popular uprising behind it and returned to normalcy thwarted. Coverage of the races was dominated by reporting on mass anti-government demonstrations. Human rights groups this summer accused the United Arab Emirates of seeking to launder its reputation with its high profile acquisition of clubs like Manchester City, plans to establish a New York-based Major League team, and soccer sponsorships. The criticism came as scores of dissidents were sentenced to lengthy prison terms on charges of plotting to overthrow the government in proceedings that failed to meet standards of fairness and justice and UAE support for the military coup in Egypt that toppled Mohammed Morsi, the country’s first democratically elected president. Former English Football Association chairman Lord Triesman has called for making a country’s human rights record one of the criteria for establishing whether a state entity or member of a ruling family passes the "fit and proper person test" for ownership of a Premier League club. Similarly, criticism of Qatar has prompted a push to include human, labor, gender and other rights in the criteria a potential host of a mega sporting event should meet – standards none of the Gulf countries currently live up to.